Initial HE Shell Velocity793 m./s. Initial AP Shell Velocity793 m./s. 152 mm/57 MK-36 х 2 pcs. 37 mm 46-K10 х 4 pcs. 100 mm/56 MZ-143 х 2 pcs. 37 mm V-116 х 2 pcs. Vladivostok — Soviet Tier VIII battleship. 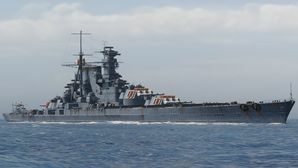 One of the variants of the "battleship A" project intended for construction in accordance with the Great Ocean Fleet concept creation. She had heavy armor, high speed, and aviation equipment. This page was last modified on 25 March 2019, at 15:09.